Below you can view all the homes for sale in the Buckhead Collier Forest subdivision located in Atlanta Georgia. Listings in Buckhead Collier Forest are updated daily from data we receive from the Atlanta multiple listing service. To learn more about any of these homes or to receive custom notifications when a new property is listed for sale in Buckhead Collier Forest, give us a call at 404-998-4063. French Doors Leads To Pool And Private Backyard. 3-Car Garage. MLS#6539515. Ansley Atlanta Real Estate, Llc. Fantastic Cul-De-Sac Street With A Great Sense Of Community! MLS#6539047. Ansley Atlanta Real Estate, Llc. Plenty Of Room For A Pool And Play Area In The Green Backyard. MLS#6539197. Dorsey Alston Realtors. On The Main There Is A Room And Bath That Could Be An Additional Bedroom. MLS#6538397. Berkshire Hathaway Homeservices Georgia Properties. Minutes Away From Public/Private Schools & I-75. MLS#6538355. Ansley Atlanta Real Estate, Llc. Near Phipps, Lenox, Ga400. Fabulous Public Schools MLS#6538317. Keller Williams Rlty, First Atlanta. Near Phipps, Lenox, Ga400. Fabulous Public Schools MLS#8565989. Keller Williams Rlty First Atl. Elegance Combined With Liveability For Todays Lifestyle - Truly A Special Place! MLS#6537155. Atlanta Fine Homes Sothebys International. Walk To Shopping And Dining, Amazing Location! MLS#6537460. Atlanta Intown Real Estate Services. Designs For Additional 3 Car Garage Are Done. MLS#6536604. Atlanta Fine Homes Sothebys International. Incredible Home On Over 3 Acres. MLS#6536277. Atlanta Fine Homes Sothebys International. Finished Lower Level, Craft Room, Dark Room, Wine Closet, Family Room,Exercise Room, & Additional Bedroom & Bath MLS#6534897. Beacham And Company Realtors. Daylight Basement Level Offers Recreation Room With Built In Cabinetry & Opens To Gorgeous Grounds W/ Blue Stone Hardscape, Pool/Jacuzzi/Fire Pit/Outdoor Viking Fully Wired Bar&Grill For Entertaining. Jackson Elementary. MLS#6534275. Atlanta Fine Homes Sothebys International. Also Featuring A Sunroom, Guest Suite, Wine Cellar, And An Exercise Room. MLS#6534334. Beacham And Company Realtors. 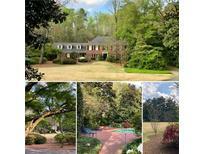 Well Positioned For Entertaining, All Schools, Shopping & Restaurants In Buckhead. MLS#8560751. Atl.Fine Homes Sotheby'S Int..
Well Positioned For Entertaining, All Schools, Shopping & Restaurants In Buckhead. MLS#6534341. Atlanta Fine Homes Sothebys International. The Lower Level Has A Tv/Workout Room And A Guest Suite That Opens To The Backyard. MLS#6532700. Dorsey Alston Realtors. Easy Access To Interstate & Zoned For Jackson, Sutton & North Atlanta Schools. MLS#6533023. Imagine Associates, Llc. Features Include A Private Gated Courtyard, 6 Fireplaces, Slate Roof, Copper Gutters, Pebble Tec Pool, Gazebo, Garage, Generous Guest Parking, Recreation Court And Generator. MLS#6532011. Harry Norman Realtors. Flat Backyard With Covered Bluestone Porch With Fireplace, Built-In Viking Gas Grill And Outdoor Refrigerator Overlooking Pool And Hot Tub. Total Privacy. MLS#6531376. Dorsey Alston Realtors. Located In One Of Buckhead'S Best Neighborhoods And Close To Top Schools, Fave Shops And Excellent Restaurants. MLS#6532017. Dorsey Alston Realtors. 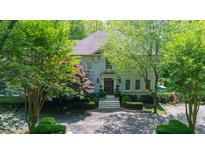 Steller Location Close To Renown Buckhead Shopping And Restaurants. Schools, Schools, Schools. MLS#6532177. Atlanta Fine Homes Sothebys International. Outdoor Entertainment & Covered Pavilion For Movies On The Lawn, Fire Pit & Grilling Station, Gym, Dog Park, & Community Garden. Model Home Pictured. MLS#6532479. Ansley Developer Services, Llc. Plus Community Garden, Compost Station, Dog Parks, New Club Room & Gym. Model Home Pictured. MLS#6532490. Ansley Developer Services, Llc. Plus Community Garden, Compost Station, Dog Parks, New Club Room & Gym. Model Home Pictured. MLS#6532474. Ansley Developer Services, Llc.